Make a The North Face thermoball primaloft vest and blue skinny jeans your outfit choice, if you feel like practicality dressing without looking like a hobo. Add a sportier vibe to your ensemble with dark brown leather work boots. 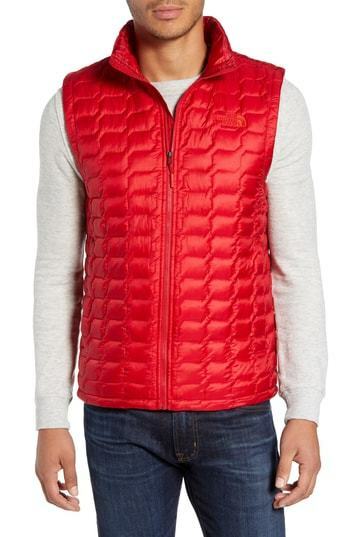 If you're hunting for a casual yet on-trend look, marry a The North Face thermoball primaloft vest with grey jeans. Both pieces are totally comfortable and will look great together. Grab a pair of brown snow boots to make the ensemble more current. If you're looking for a casual yet seriously stylish look, dress in a The North Face thermoball primaloft vest and charcoal chinos. Both pieces are totally comfortable and will look great paired together. Got bored with this outfit? Enter black leather casual boots to switch things up. 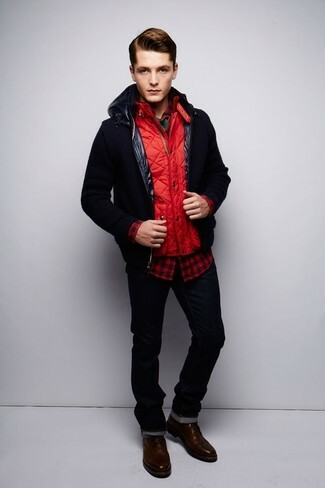 This casual pairing of a red quilted gilet and navy jeans is a lifesaver when you need to look casually dapper in a flash. 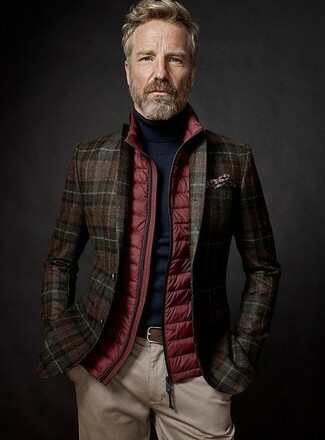 To give this outfit a more relaxed finish, complement this look with a pair of brown leather work boots. A The North Face thermoball primaloft vest and black jeans are absolute essentials if you're planning a casual wardrobe that holds to the highest style standards. Channel your inner Ryan Gosling and rock a pair of dark brown leather casual boots to class up your ensemble. If you're searching for a casual yet sharp ensemble, go for a The North Face thermoball primaloft vest and blue jeans. Both pieces are totally comfortable and will look great paired together. Wearing a pair of tan suede derby shoes is a simple way to add extra flair to your ensemble. 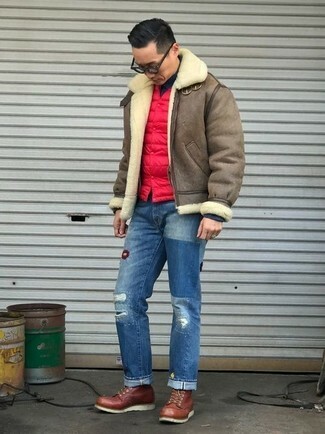 If you prefer relaxed dressing when it comes to your personal style, you'll love this easy combo of a red quilted gilet and blue ripped jeans. Opt for a pair of brown leather work boots to make the outfit more current. 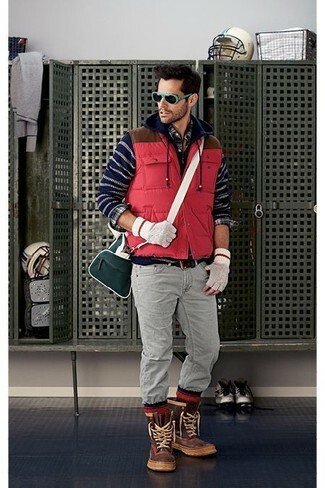 If you're in search of a casual yet dapper getup, dress in a The North Face thermoball primaloft vest and brown chinos. Both items are totally comfortable and will look great together. Bring a touch of sophistication to your getup with dark brown leather casual boots. 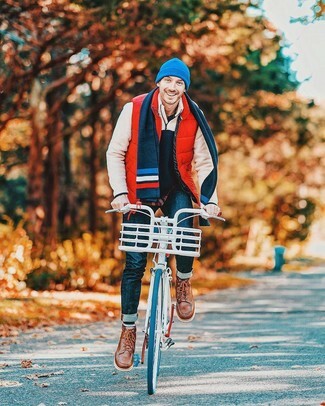 This combination of a The North Face thermoball primaloft vest from Nordstrom and beige chinos is effortless, sharp and very easy to recreate.